For me, one of the most frustrating things about starting the Low FODMAP diet was constantly testing new recipes. Trying three new meals a day can be really tiring. Especially if they don’t all turn out the way you expect. I learned early on that it’s way easier to pick one foolproof food and plan the rest of your meal around that. When I switched to this system, I started with this low FODMAP seasoned chicken breast and I did not look back. I’m a huge fan of chicken. I love that I can make three chicken breasts at once and eat them in three very different meals. My current favourites include chopping one up and throwing it in a garden or summer salad; slicing it up and sticking it in a hearty sandwich; or leaving it whole for a heavier meal and switching up my sides. Even though a salt and pepper chicken breast is fine in my books, I thought you might appreciate a basic chicken seasoning. 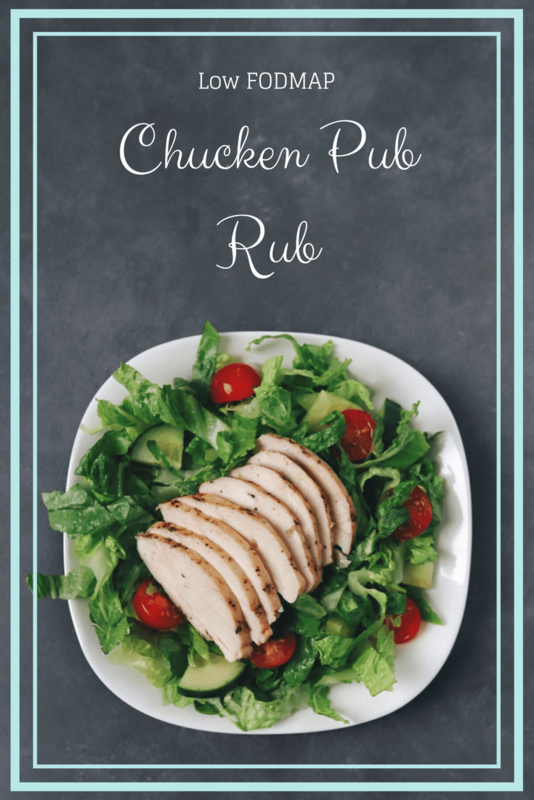 This recipe is inspired by the grilled chicken at my favourite pub. I hope it gives you a little break from recipe testing, even if it’s just until you get sick of chicken. Think this recipe sounds great, but you don’t have time to make it now? You can PIN THIS RECIPE for later. 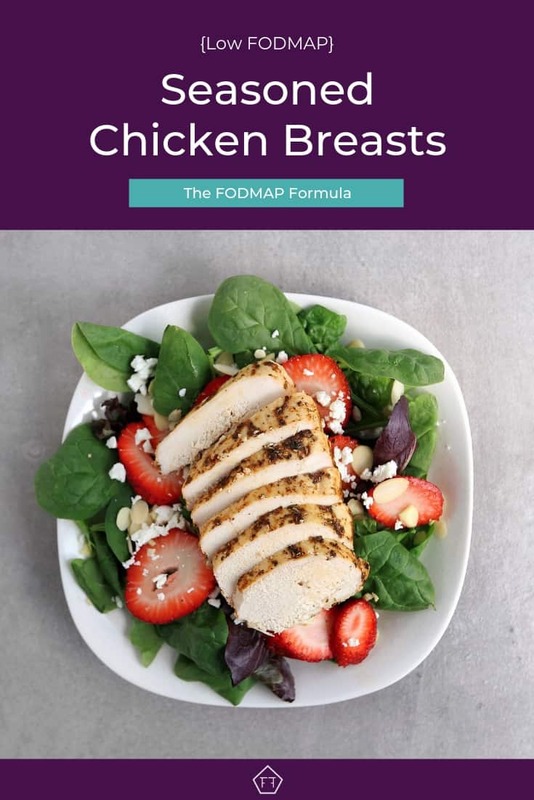 Because chicken is a protein, it doesn’t have any FODMAPs. However, you still need to manage your portion size. 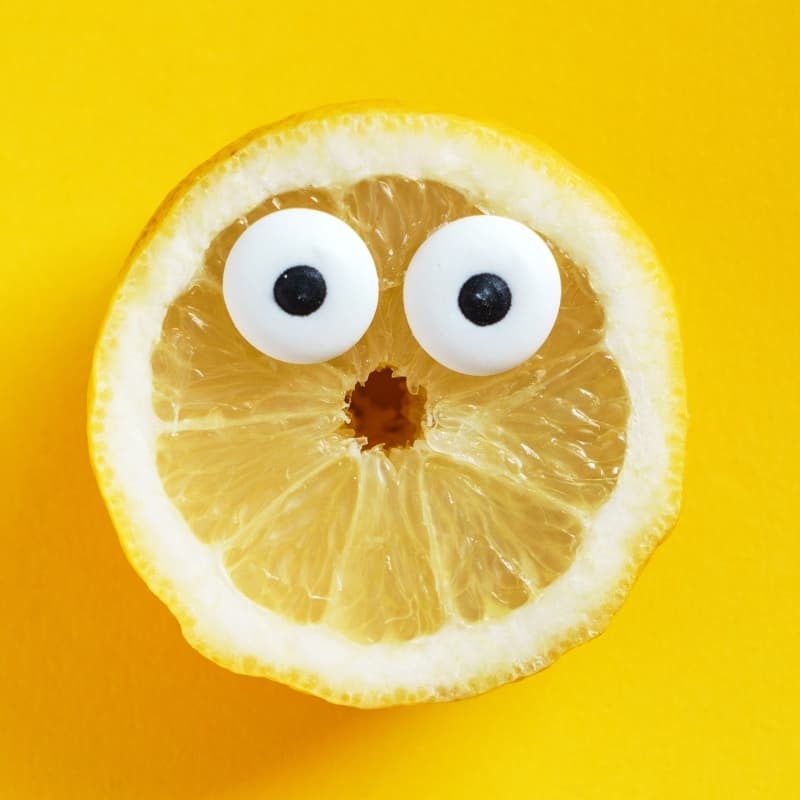 Eating too much of any food can put stress on your digestive tract and cause symptoms, which is kind of counterproductive. If you eat a lot of chicken, switching your seasonings and your cooking style can do wonders! 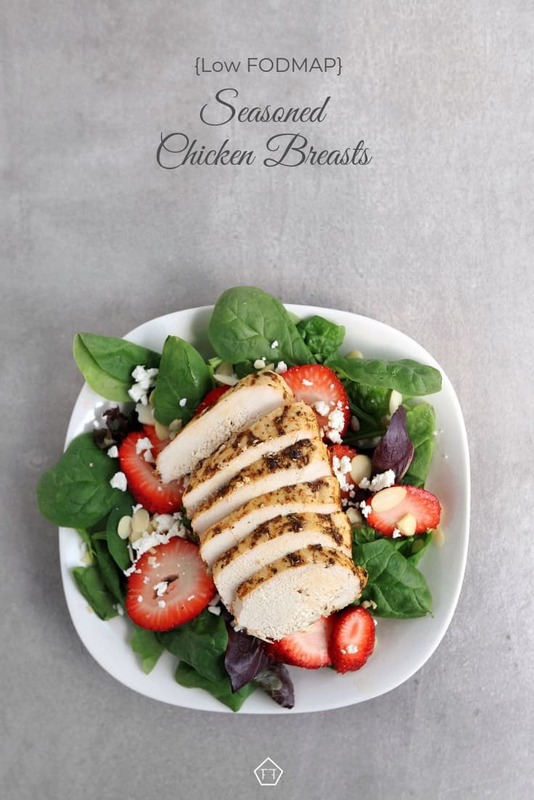 But, if you find yourself stuck in a chicken rut, the easiest way to shake up your meal is to change up your sides. 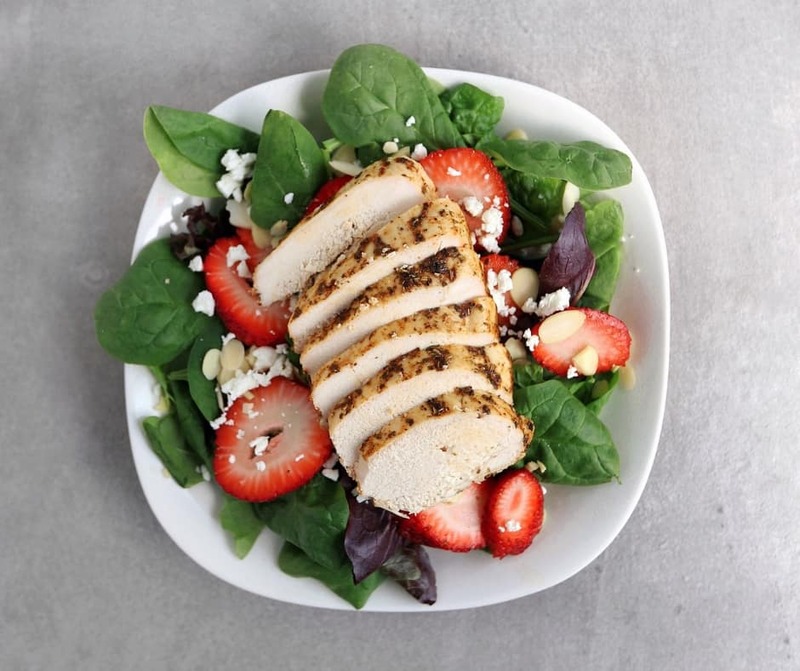 If you normally serve your chicken breast with a side salad, try swapping some key ingredients to change the flavour, colour, or texture. 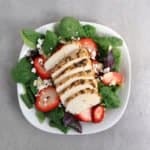 You can check out three easy salad ideas here if you need some inspiration. If you’ve taken the classic meat and potatoes route, try a different seasoning on your potatoes, or try polenta instead of rice. You can also experiment with seasonal vegetables in your area for a local flare. If this recipe sounds good to you, don’t forget to PIN IT for later. This pub-inspired seasoned chicken breast is a fast family hit. Its simple flavour makes it perfect for a salad or sandwich, as well as the star of a heavier meal. Preheat oven to 350 degrees. Place all dry ingredients in a mixing bowl (or a Ziploc bag) and mix well. Add chicken and olive oil and mix until chicken is thoroughly coated. Remove chicken from the bowl (or bag) and place in an appropriately sized baking dish. Cover dish with tin foil and bake for 30 minutes. Remove tin foil and place dish back in the oven. Check temperature every 5-10 minutes until the thickest part of the breast reaches 165 degrees. If you're looking to get crazy, this recipe is also delicious on the barbecue! 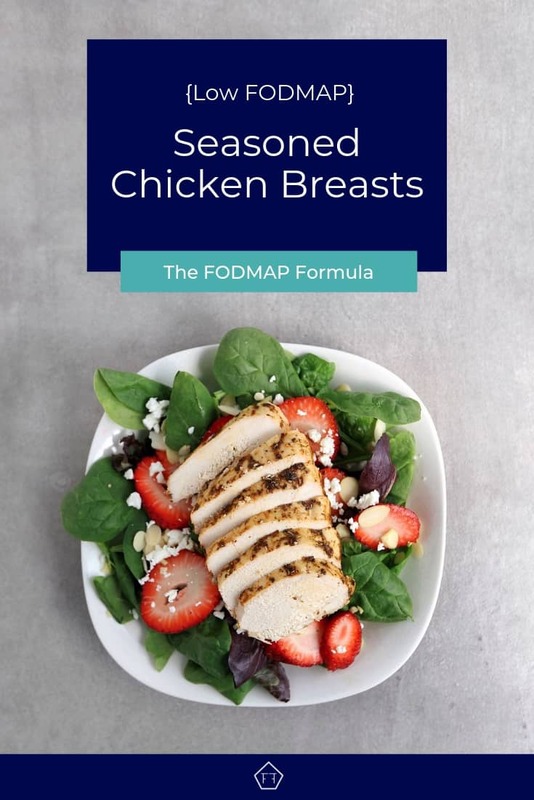 I hope you find this low FODMAP seasoned chicken breast recipe helpful. Don’t forget to sign up for my mailing list below. 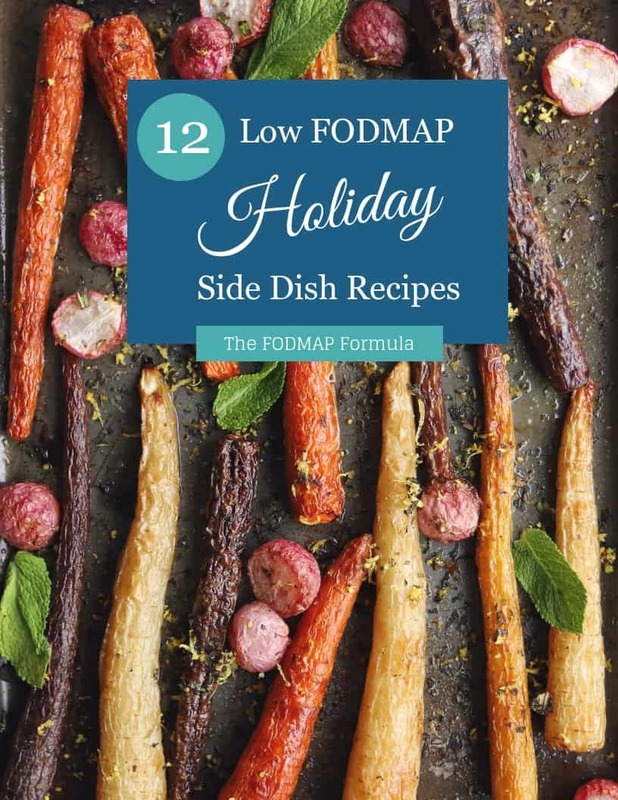 Just You’ll get new low FODMAP recipes and articles delivered right to your inbox. If you’re curious about what else is happening in The FODMAP Formula kitchen, follow me on Instagram for bonus recipes and a sneak peek at my latest projects. Together we’ll get the Low FODMAP Diet down to a science! Thank you! I am new to FODMAP and was afraid it would mean bland meals. This was so easy and so tasty! The chicken came out tender and moist. I might make up a few batches of the seasoning and have them ready to go for busy days. Will definitely check out your other recipes. This is the best thing I have eaten in a long time!